Granite, Marble & Quartz Photos. One of the best places to add a design touch in the kitchen is on the countertop. Regardless of the kitchen countertop ideas you have, you should select materials that are durable and can withstand the daily wear and tear associated with cooking prep. Below are some countertop ideas that will breathe life into your kitchen and make it a haven for cooking. Give the kitchen a bold look by installing brightly-colored countertops. Go bold with lime green, oranges and yellows. Choosing contrasting colors will make the countertops stand out. Install patterned kitchen cabinets to add visual interest and create a contemporary feel of sleek, minimalist cabinets. For example, you can use textures and striped stone materials such as the Caesarstone’s Concetto series. To achieve a contemporary look in the kitchen, install thick countertop slabs. You can get a stately look by installing 3” to 5” countertops rather than the usual 2” thick. Make sure you adjust the cabinet height accordingly to match the height increase of the thicker countertops. Wood butcher block kitchen countertops are timeless and inviting. The accessories add a warm feel to the kitchen. To keep the countertops looking new and fresh, you can seal them with durable polyurethane. 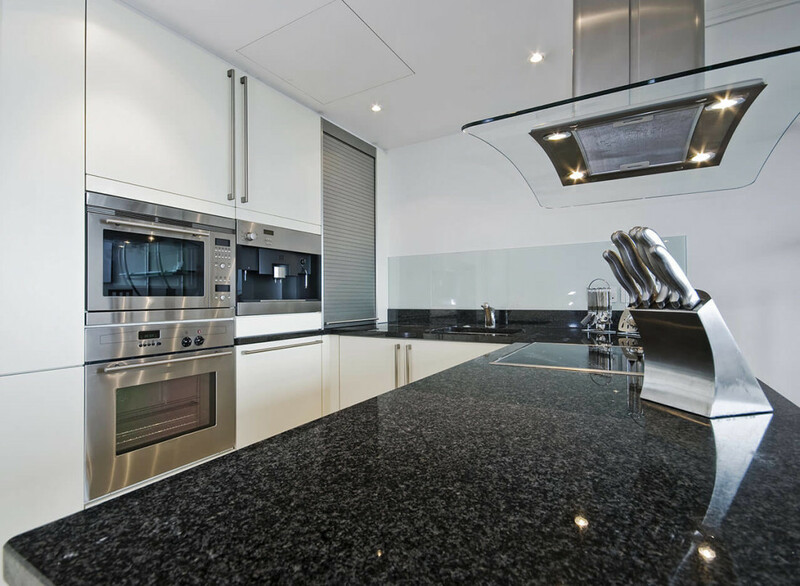 Stainless steel has been traditionally used for kitchen countertops. 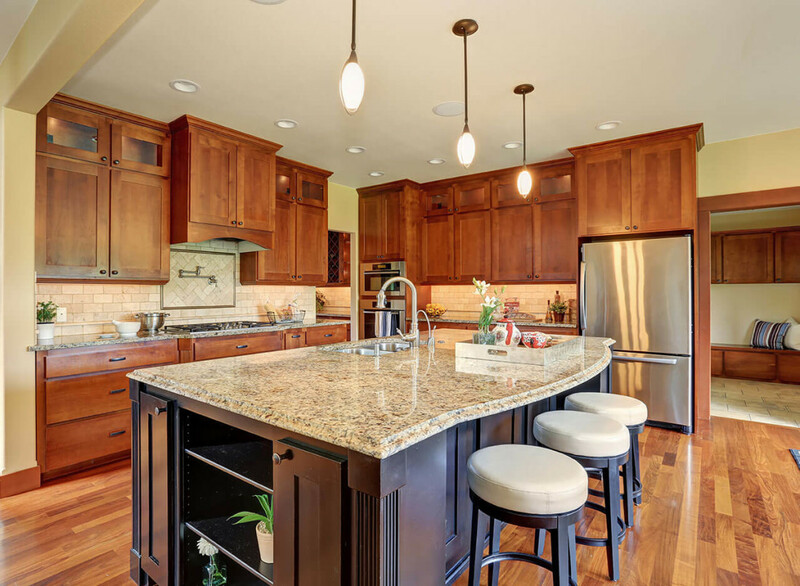 However, use of zinc and copper countertops is increasing in popularity. Zinc countertops feature a rich, blue-toned patina. On the other hand, copper countertops create a warm gloss that softens the edges of a contemporary kitchen. Concrete is earthy, durable and its pattern has a subtle textural feel. One of the advantages of using concrete for kitchen countertops is that you can customize it with textural treatments, staining and different finishes. One of the popular trending countertop designs involves wrapping the countertop on the top and sides of the cabinet using a material you like. The wrapping adds visual impact and creates an interesting look that draws the eyes to other parts of the kitchen. You can choose two different countertops surfaces for your kitchen to create a high-design look. For example, you can have part of the countertop made of stainless steel and the other made of marble. This design is popular with bakers and chefs. Break up the straight lines in a contemporary kitchen and add a little curve to you countertop design. Curves create an inviting communal place especially when used in the seating area. Curved countertops also make it easier for those in the kitchen to have face-to-face conversations. Granite countertops are always a safe bet. You can choose from three main types of the countertops – slab, modular and tile.  The slab type is the most popular. 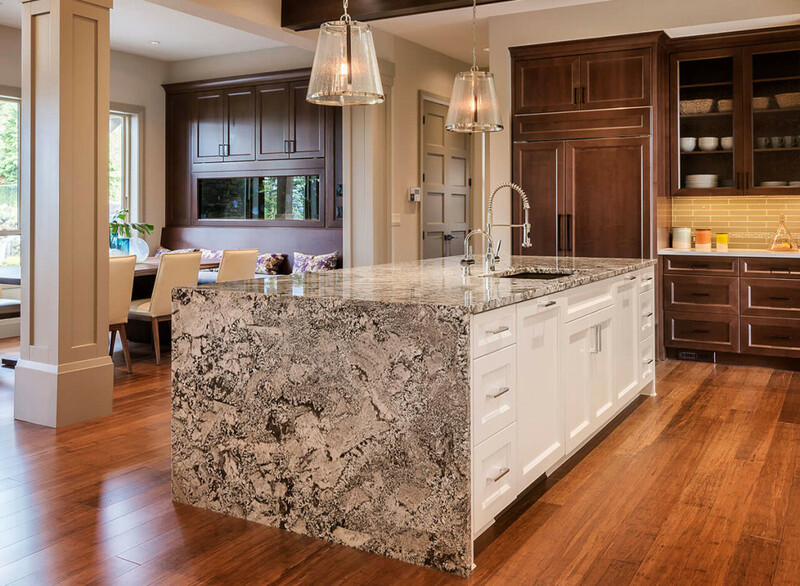 Installing granite countertops is guaranteed to increase the value of your kitchen. Need more kitchen countertop ideas? View our gallery for insipiration.